Killing any type of tree takes some persistence, but some species of poplar (Populus spp.) can be extra resilient. Cutting down a poplar won't always kill it, but instead it will sprout suckers from the trunk or even from its extensive root system to fight to live. Killing the tree takes a number of steps that all must be completed to ensure it is gone for good. Around 35 different species of poplar trees grow in a range of climates. 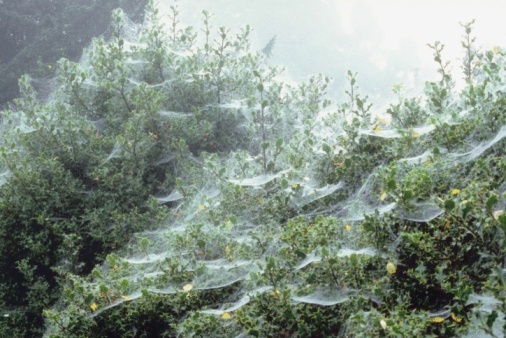 They can be cold hardy or enjoy warmer climates, depending on the species, so various poplars can be found in U.S. Department of Agriculture hardiness zones 3 through 9. The silver poplar (Populus alba), which grows in USDA zones 3 through 8, is considered invasive in some areas and is best removed. It has distinctive silvery-toned undersides on its leaves. 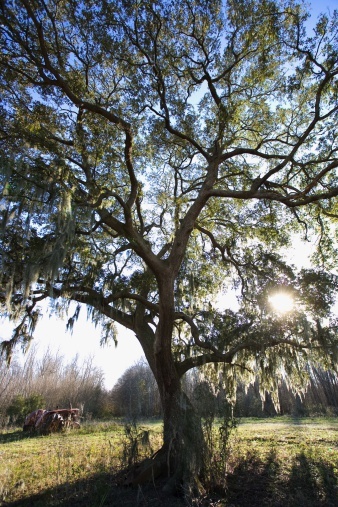 To kill a standing tree, frilling and girdling are two practices you should understand. To girdle a poplar, cut a groove into the tree's trunk all the way around, penetrating at least 1/2 inch on small trees and 1 1/2 inches on full-grown trees. You need to cut through to the sticky layer, or cambium, under the bark. Use an ax, saw or chainsaw to make the cuts. Make a second cut 2 to 4 inches from the first so there are two complete circles around the tree. Frilling has the same effect. Use an ax to chop downward through the bark and cambium over and again in a full circle around the bark. This will peel down the bark and first layer of the trunk, creating a "frill" around the trunk. Fell a tree once it is dead from girdling or frilling, a process that can take up to a full season to complete. 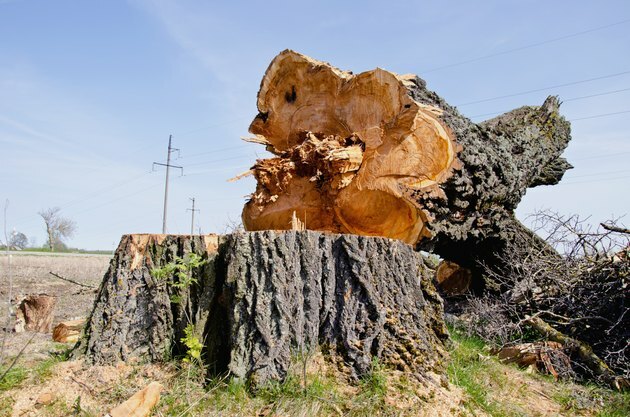 Chopping down a small tree is something you can likely handle with a saw and some hard work, but cutting down mature trees is best left to professionals. Do not attempt to fell a large or mature tree without assistance from an experienced arborist, particularly if there are any impediments in the area such as power lines, streets, houses or cars. If the tree is near a power line, the power company may cut it down for you to prevent damage to its lines. 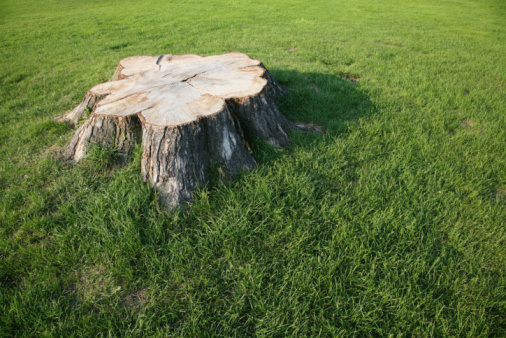 Stumps left behind often sprout new trees, particularly with invasive species that not only sprout from the trunk, but can continue to sprout along the entire pesky root system. To fully kill the poplar, you must kill the stump. The two basic ways to ensure death are to grind out the stump or use outside forces to accelerate decay. Grinding a live stump is a difficult process that requires heavy-duty tools. For most people, it is much easier to rot the stump out first, then remove the remains. Salt is one of the easiest ways to do this. Drill holes all around the stump a few inches down into the stump using a 1/2-inch drill bit. Stuff the holes with rock salt or Epsom salt. Water the stump, then cover it with a dark plastic. The salt will both dry out the stump and block water uptake by the roots. Check on the stump every few days and add more water or salt to the holes if they are dry or empty. In about four to six weeks, the stump should be dead and easier to chop apart with a common ax to remove.